We are wrapping up our series with the guys from Local Three. We’ve been following (video 1, video 2) these guys through the process of opening their local Atlanta restaurant, and the day is finally upon us. Chef Chris Hall gave us a final sneak peak of the menu, before the official December opening of Local Three. This time Chris let us show you what’s behind the food at Local Three and how it’s cooked using fresh ingredients while keeping it simple and delicious. This video will have your mouth watering when you see all that pork jowl, squash and kale. Stay tuned because we’ll have 2 more videos coming to close out our Local Three series you won’t want to miss. Stay Hungry Y’all ! Our passion is for the rich history and culture of the South and the wonderful flavors that are unique to our corner of the United States. 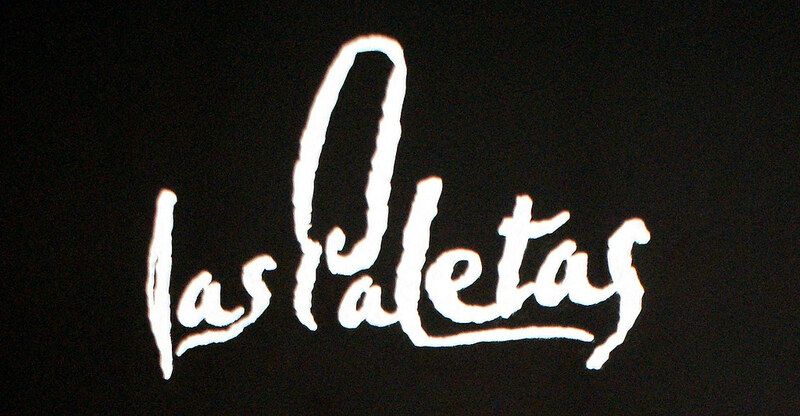 Our goal has always been to tell great stories about the people, businesses, food, and flavors of this region and to use whatever tools we have to make that possible. We’ve experimented a lot with different formats, writing styles, video, audio and are continuing to try to find new ways to tell the story of people who make our Southern culture so unique. We are very attached to our family recipes and talking to folks about the Southern flavors and cooking techniques that make up Southern cuisine, so we have decided to stick to what we do well and tell Southern stories about food. If you haven’t seen our first two videos ( Local 3, Phickles Pickles) and our first podcast ( Southern Cheese) please take a moment and check these out. We plan to bring you more of these amazing stories on a monthly basis. You’re going to notice that our writing is going to slow down a little bit to free up some time to work on our “Stories”. We’ll still bring you recipes from time to time, but we’re going to try harder to tell you about the people and the places of the South that you all grew up with and are most passionate about. The folks that remind you of your grandparents home cooking, or the restaurants whose flavors will live with you for a lifetime. As part of this process we need your help in two ways: 1) we need your tips telling us about your local country stores, restaurants, chefs, shops, suppliers, etc anybody that you think might be a good fit for our stories; 2) tell your friends about what we are doing to tell these great Southern stories and help us grow these businesses so they can succeed and continue to provide their wonderful Southern goodness for more to enjoy. In the end it’s not about advertising, or numbers of readers on our website, or video views, but that we are building relationships with our farmers, chefs, Southern suppliers and local business owners and passing that on to you to do the same. I hope you guys will help us make these Southerner’s Stories a success! Driving down I-10, roll down the windows as you cross the Atchafalaya Basin and listen to the rhythms of the road mixed with the natural melodies of the swamp and soul of the muddy muddy smell of the Lousiana waterways. Those beautiful rich sights and sounds are melded into the local Zydeco music, just like those of the neighboring Delta Blues. 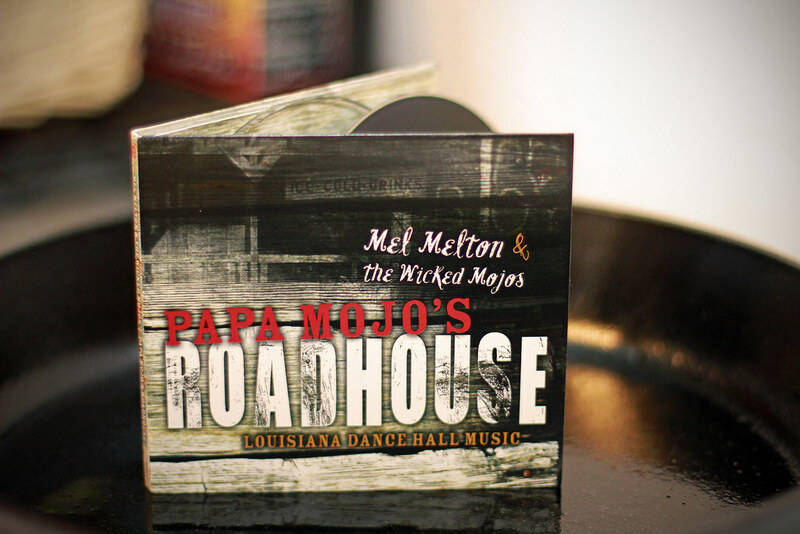 Mel Melton and The Wicked Mojo’s new album PaPa Mojo’s Roadhouse is a great new example of Southern Zydeco and Blues fusion. So why is the Hungry Southerner interested? Mel Melton is also a great Southern Chef who infuses the spirit of his music into his Creole cuisine. In an effort to bring Southerners back in touch with their food and local producers, The Hungry Southerner is doing a series of interviews with Southern farmers, producers, businesses and chefs discussing what they are doing that is unique to be sustainable, fresh and most important, a respected presence in their local economy. Our goal is to document and share with you some really great stories of Southerners with a passion for what they do. You’ll see everything from a family run pickling business to hand made aprons, sustainable restaurants and even some local dairy farmers. We want our readers to share in our passion for supporting local economy and ensuring that the crafts of these businesses are being honored and passed on to the next generation. With summer just around the corner, my thoughts (stomach) turn to summer food treats. Some foods just scream summertime. Burgers, milkshakes, fresh-squeezed lemonade … you get the idea. Summer treats are fun. If your the last person in Atlanta to have not experienced lunch at Taqueria del Sol, go ahead right now and get your car running while you read this. This place has been a locals favorite for 10 years and hopefully many more to come. The service is always friendly, and the ingredients always taste fresh and delicious. For the lunch plate I always suggest the Fried Chicken Taco, Carnita Taco, and a bowl of Shrimp Corn Chowder. The tacos are always seasoned just right with bright flavors, warm soft tortillas and the meat fillings are never dry or tough, always tender and perfect.